I so love both of these pairs of shoes! The fur tuft on those pewter Naturino Mary Janes is wonderful and gives them just the right less stuffy twist. And the Minnetonka moccasins in that lovely chestnut brown are adorable with skirts, pants and shorts. Wait until you see the price on these right now at Garnet Hill. There is a great coupon code floating around for an additional 25% off plus free shipping on any order, including sale and clearance merchandise (see code below). With the code, the Naturino Mary Janes have been marked down from $69 to $29.50 and the Minnetonka moccasins are reduced from $30 to $13.50!! Plus, you get a free $8 lunch tote with any girls' clothing purchase. You will need something to wear with the shoes above, so look at these tights. They are made by the Danish company MP and will last from child to child to child. These tights are soft, durable and are made using super-comfortable flatlock seams that don't rub in weird ways. The stripes are wonderful (check out the emerald green thin stripe in the middle image) and those solids would compliment practically any ensemble. 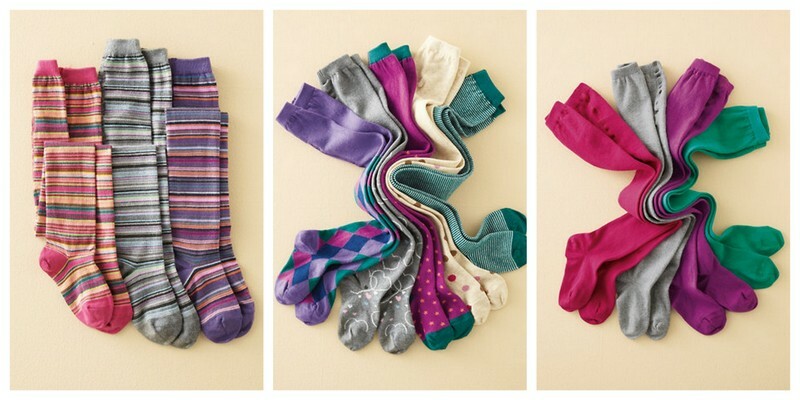 These are all $13.50 right now with the coupon code for the stripes and patterns (marked down from $29.50) and the solids are just $9 instead of $15.00. *Note: This coupon code was working yesterday... even through last night to take an additional 25% off of sale merchandise. However, it seems that it was not supposed to. It was only supposed to work for full-priced items. Many apologies to those of you who tried to use it with no success! And to those of you who did get it to work, well done. The free shipping part of the code DOES work, however, so you can still get the moccasins for $18 and free shipping. All I have to say is DRATS! So sorry. Thank you for all of the posts, I LOVE everything you post and I've bought several deals thanks to you! I just wanted to give a heads up that the coupon code for Garnet Hill is only for full-priced items. Bummer. Thank you, though! Thanks for the note, Britty. As soon as I get to a computer I will try it again, though it worked for all of my sale items earlier today. I'll let you know what I find! Same here, didn't work when I went to buy the moccasins! OK friends. This is one weird coupon code. I tested it again and had trouble until I started adding multiple items to my cart. Britty is right that the fine print says that it should not work for sale merchandise though it readily does on some sale stuff like the tights. Try adding the moccasins to your cart and then follow the pop-up to add the free lunch tote. Insert the coupon code and click "apply". The moccasins will probably still be $18. 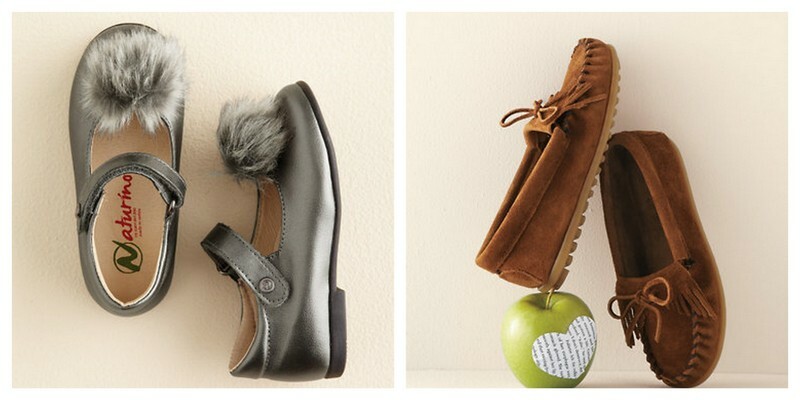 Now, add a second pair of moccasins to your cart and then view the cart again. For me, this is when the extra 25% kicked in. I tried the same with the Naturino Mary Janes and the second pair (in a different size) would get the markdown, but the first would not. I am so sorry for the confusion over this! When I posted this afternoon about this coupon code, it took the discount on all items right from the beginning! Like I said, one weird coupon code. I think that I will call Garnet Hill in the morning to clarify and will let you know what I find. Try playing around with it and let me know what happens. I hope we all get our $13.50 moccasins!! I just talked to a cs rep and she said the coupon is only good for full price items :( so the cute minnetonkas will still be $18, but still a great deal and a free lunch tote! I love your blog!! keep the deals coming!! Yep.. it is now no longer working at all. They must have tightened up to prevent against accidental successes! So sorry everyone. The free shipping does, however, work for any order.